A POACHER hunting rhinos in the Kruger National Park met a gruesome end after being trampled to death by an elephant and then eaten by a pride of hungry lions. Four other poachers who fled the game reserve in South Africa in terror were picked up by police and explained how a member of their gang had been killed. They described how an angry elephant surprised them as they stalked endangered rhino and stamped their friend to death giving them a chance to run for safety. Kruger Park Rangers immediately set out for the area known as Crocodile Bridge and sent up their airwing helicopter in a bid to find the dead man’s remains before it got dark. KNP ranger Don English led the team out again at first light on Wednesday to recover the body. But with no luck the police officers in the case re-interviewed the captured poachers to try and get more detail as to where the elephant attacked and killed their friend. All that was left to bring back to the camp was the poacher’s bloodied head some clothes. KNP managing executive Glenn Phillips said: “Entering the Kruger illegally and on foot is not wise as it holds very many dangers and this incident is clear evidence of that. Mr Phillips commended the search party for finding what was left of the poacher to give the family “some closure” and extended the parks’ condolences to his relatives. The four arrested individuals remained in police custody and will appear in court for poaching soon. 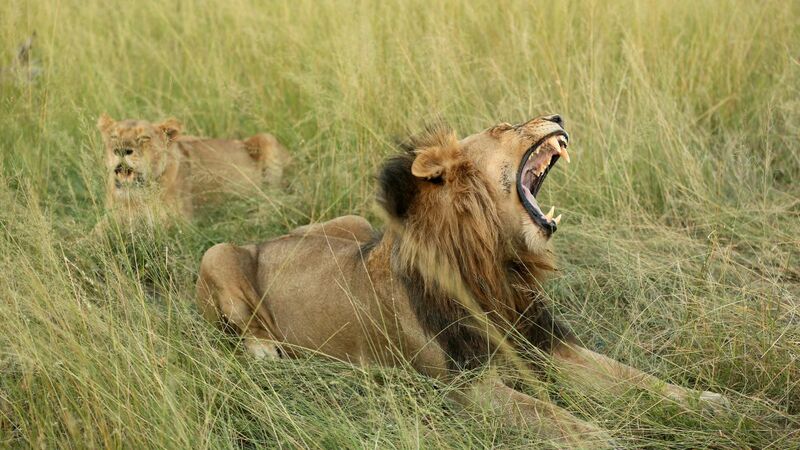 In July last year at least three poachers were eaten by a lion pride at the Sibuya Game Reserve in Eastern Province, South Africa, after they broke into the park to hunt rhino. Owner Nick Fox said a head and a number of bloodied parts and limbs were recovered along with just a single empty shoe and their high powered hunting rifles and an axe. He said: “We are of course saddened at any loss of life but these men came to kill our animals and this sends out a powerful message to poachers that you will not always be the winner”. The Kruger National Park is South Africa’s biggest reserve in the country and covers over 12,000 square miles and is home to the Big Five of rhino, elephant, buffalo, lion and leopard. A SAPS police spokesman confirmed four men were in custody and they are investigating a fatality.